We often have to say Good Bye in English. Do you use the same old English phrase ‘Bye Bye’? Why not learn some cool and interesting English sentences to say bye in English. 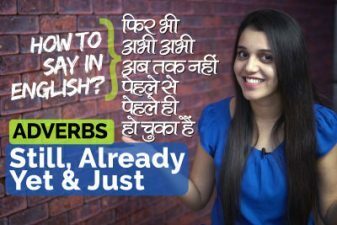 In this English practice lesson in Hindi you will learn some interesting ways to say Good Bye. Stop using the same old English phrase Good Bye over and over again, stop being boring, add some style to your English. 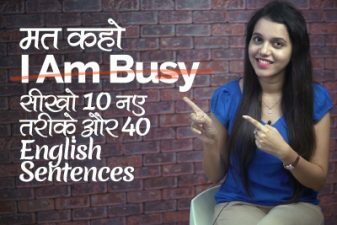 Learn English through Hindi with your English teacher Michelle in a fun and interesting. How to say ‘BYE’ in different ways? It’s time to be going. Alright, everyone, It’s time to leave. Guys, I am going to make a move. Okay, everyone, it’s time to leave you all. I am leaving now, I’ve got a busy day tomorrow. I’m sorry, I have got to run. I’m afraid, I have to hurry. Thanks for the dinner, it was great. How to say BYE after a DATE? I spent a very good time with you, I will call you in some time. The dinner and movie were great, have a good night. I really enjoyed spending time with you. 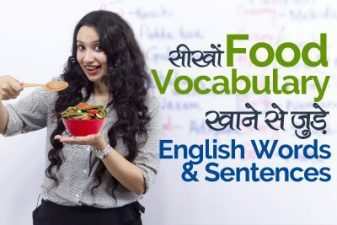 Food Vocabulary – खाने से जुड़े English words.